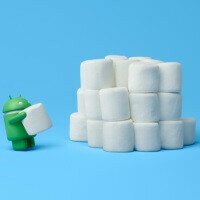 Ahh, there's nothing like fresh out of the oven Android factory images to make Nexus device owners glee with pride, right? The ability to get the latest Android build, right out of Google, fresh and pure and clean of carrier bloatware, the very moment it's put online — this is straight-up luxury in the Android smartphone world. Speaking of which, Android 6.0 Marshmallow system images are already online, waiting for lucky users just like you to grab them for a spin. Come here, we'll show you how to get through the hoops and emerge on the other side running Marshmallow the way Google intended! First off, we have to set you up with Minimal ADB and Fastboot on your computer. So go pay the software's XDA Developers thread a visit and get the quick rundown on how to download and install the app on your computer. Nothing complicated, folks! However, Minimal ADB and Fastboot is only compatible with Windows computers. Mac and Linux users should have a look at this excellent tutorial by WonderHowTo. All set up? Here goes the next slide! Now, we have to download the Android 6.0 Factory images, straight from Big G's repository. Follow this link and download the version that corresponds to your Nexus device. Once the download is finished, copy the downloaded TGZ file inside the 'platform-tools' folder inside ADB's installation directory. Then, use a file archiver, such as 7zip, to extract the TGZ file's contents inside the 'platform-tools' folder. Following the extraction, you will find another archive in the 'platform-tools' folder. It's a TAR file, which you must extract, open the folder it creates, and move its contents to the parent 'platform tools' folder. Now, let's enable USB Debugging on your Nexus phone. This happens inside the 'Developer options' submenu of the 'Settings' app. If you can't see it, this means you'll have to activate it yourself. Go to the 'Settings > About' phone submenu and tap a few times on the Build number entry on the bottom until Android tells you that you've become a developer! Now that you have the USB Debugging menu unlocked, go to the 'Developer options' menu and place a tick next to USB debugging and Enable OEM unlock (if you have this option). Connect your Nexus phone to your computer. If everything works as planned, you should see an alert on your Nexus phone, asking you to allow USB debugging. If you don't see this message, go to the Settings > Storage menu, tap the three dot menu, and choose "USB computer connection". If the "Media device (MTP) option" is selected, change it to "Camera (PTP)" and this should get things going! 'Yes', then press the power key to confirm. We're now ready to flash Android 6.0 Marshmallow on your Nexus device. First, try typing in 'flash-all' (with a ./ to the beginning if on a Mac), wait 5 to 10 minutes and see how that goes. If you get any errors, worry not. Your Nexus is fine, you'll just have to flash all the .img files manually, which is a bit of a pain in the rear, but it's also a reliable way of flashing Android factory images! So, go back to ADB's 'platform-tools' folder, and extract the image-mra58k.zip file inside the same folder. Take note of its contents, for you'll have to know which files you've extracted. Then, type in the following commands, one by one (with a ./ to the beginning if on a Mac). There, this should do the trick! Your newly flashed Nexus will take a bit longer to reboot than usual, but worry not. If the device hangs on the boot animation for longer than 5 minutes, just unplug it, then press and hold the device's power key to reboot it — then wait again. This time, all should be fine and dandy! Will this wipe my device ? Google was actually quick with the nexus this time. I have the nexus 5, I live in the UK, and I got the marshmallow update on Thursday. The lollipop update took long for the nexus 5 considering it's a Nexus. Wugfresh ALL DAY SON! Seriously rooting/unlocking Nexus devices just got 200x easier with that toolkit.